The Center has issued and received a signed contract from the renter along with the indicated deposit and/or payment. The Executive Director of the War Memorial Center has also affixed his signature to the contract. The deposit is non – refundable and due at the time the contract is signed by renter. The deposit is $1,000.00 or full rental fee if rental is less than $1,000.00. If the contract is issued less than 90 days prior to the event, the entire rental fee (included taxes and fees) is due with the contract to secure the date. Failure to return signed contract with required deposit by the date indicated on the contract shall nullify the contract and the date will be released. Further, the contract shall not be binding until evidenced by the signature of the Executive Director of the War Memorial Center. A copy of the binding contract will be sent to the renter indicating the deposit /payment received. Final payment is due 90 days prior to the event. Checks should be made payable to “War Memorial Center.” Failure to make final payment will result in your event being cancelled.  If the organization has established credit with the War Memorial Center, arrangements can be made to be billed following the event. Payment would be due within 10 days from the date of the invoice. If an event is cancelled less than 90 days prior to event date, the renter is responsible for the full amount of charges including commissions and other fees. Renter will be invoiced for full amount and said amount will be due 10 days from the date of invoice. Customers renting space who wish to have food service must use a caterer from the Approved Caterers list. Customers renting space who wish to have alcoholic beverages, with or without food, must arrange bar service through an approved caterer. Bar service at all events must close one half hour prior to the event ending time. No alcoholic beverages may be served to persons under the age of 21, intoxicated persons, or persons bordering on a state of intoxication. Individuals attending events may not bring their own alcoholic beverages. It is the responsibility of the sponsoring organization/renter through its event contact person to see that all regulations are followed by all guests. Ample parking for events is available in the surface lot on the north side of the War Memorial Center. Please call and speak with Events Manager for more information about hosted parking options. The parking fee is per park and paid upon entering the lot. If someone leaves the lot and returns, this is considered a second park and he/she must pay again to re – enter. Similarly, for car counts, if someone leaves the lot and returns, he/she will be counted again. Memorial Hall is 42’10” in width and 119’2” in length for a total of 5100 square feet. The room is carpeted with a portable dance floor. Decorating is limited to tables only with nothing tied, taped, posted, nailed, or otherwise hung/attached to the walls or ceiling. Renters and their contracted firms are responsible for their own extension cords. Availability of the hall for decorating is subject to our schedule of events unless renting organization wants to rent additional event time. Use of candles in Memorial Hall or on Fitch Plaza is subject to the approval of the Events Manager. Requests to use candles must be made two weeks prior to the event. Helium balloons may be used, but no balloon drops from the ceiling are permitted. All balloons left after event must be popped and disposed of in trash containers. Use of free – floating balloons in the facility must be approved by the Events Manager. These balloons may not be treated for longer life. No fog or smoke machines are allowed. No dance floor powders or other substances may be spread on the floor. Confetti or sparkles can be used on top of tablecloths only. Renter or their caterer must then empty it directly into trash containers and not onto the floor. Be sure to request this of your caterer. After the event, all decorations, props, and equipment must be promptly removed by renters. Decorations must be put in the trash containers for disposal. Any special arrangements to drop off/leave decorations, props, or equipment behind must be pre approved by the Events Manager. Even with special arrangements, the War Memorial Center will not be responsible for anything dropped off early or anything left after the event. Shade and lighting adjustments in Memorial Hall must be performed by maintenance staff. The piano remains in Memorial Hall at all times.